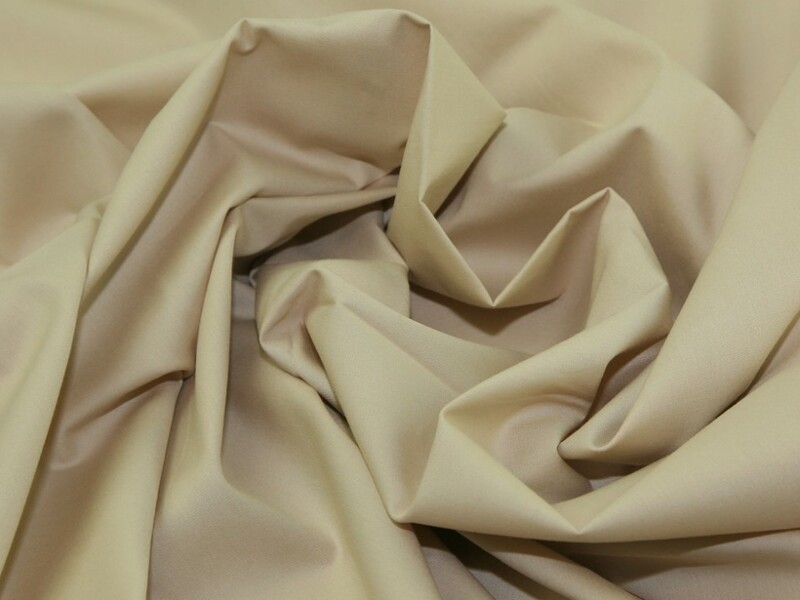 Our 100% Cotton Poplin Fabric is the highest quality. It has a beautiful smooth, soft finish and is very easy to sew. Because of its manufacturing process, it tends not to wrinkle easily, and is somewhat water and stain resistant. Although 100% cotton poplin is more expensive than a polycotton blend, the expense is usually considered worth it, since poplin tends to wear well and is easy care. Our poplin is a medium weight, non stretch and machine washable. It is available in a fantastic range of colours including pastel, bright and dark shades. It is an extremely versatile fabric and is used for anything from clothing (skirts, tops, dresses, shirts, shorts, pyjamas etc), to handbags, cushions and accessories to baby and childrens wear, banners, tablecloths, bed sheets, bed linen, and is extremely popular for patchwork and quilting! Very disappointed. Just weighed my order. This is very lightweight fabric at medium-weight price. It is 120gsm at best. Fabric washed and sewed well; I made summer trousers. However, it certainly was not sage green. It was more like a lime green so I wonder if the wrong colour was sent. As I needed something cool in this hot weather, I went ahead and used it. Very disappointed with this fabric, bought the pale pink to make a dress the fabric was so thin you could see through it the dress looked like it needed to be lined. Disappointed with this material , it was to thin to make a dress I bought the light pink and the dress really needed to be lined could see underwear not a good look ! I ordered this to bind a quilt and it is perfect for the job. It's a lovely sunshine yellow, ecpxactly as the image shows, very soft to work with, and needles well. At this price, it's a steal, so I think I'll order a selection of colours to have on hand for binding and other projects. I have been using this fabric for machine embroidery, I have used it to make embroidered bags, cushions, cards etc. Will be ordering more. Beautiful quality cotton poplin. I turned this light pink fabric into a summer top. It's so easy to work with. One of the best cotton poplin fabrics I have ever used and a very good price. I ordered the Cerise Pink and was surprised of how light the pink was compared to the photo. However, this is great quality poplin fabric if you are not too worried about matching colours. This is a really nice quality poplin. It has washed well and it's east to sew. Have made a shirt for my husband and a dress for myself in it so far.